Teaching your children about the importance of dental hygiene and the need to brush their teeth is hard – there’s no doubt about it. But persistence with this matter is essential, especially as children’s diets come under scrutiny in the media. 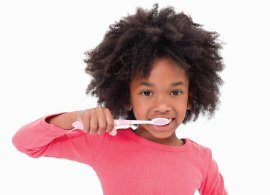 It’s important to make sure that your children know how to look after their teeth properly – from education on how to best brush teeth to educating your child about sugar and diet and how this can affect dental hygiene. 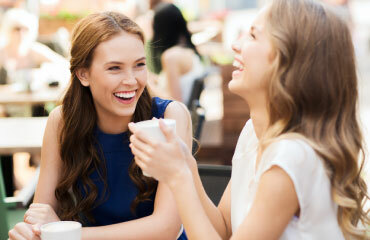 A lack of education on this matter can lead to problems such as tooth decay and gum disease. Children are more at risk when it comes to dental problems like this, as like the elderly and frail, they are dependent on others to help them to stay independent. The National Institute for Health and Care Excellence (NICE) say that severe tooth decay has been reported in children as young as three years old. They highlight the fact that tooth decay can have a lifelong effect on health, as well as a person’s self-esteem and their ability to eat and socialise properly. “Tooth decay is the most common oral disease affecting children and young people in England, yet it is largely preventable. NICE suggest that dental problems are best avoided by better education in schools, encouraging youngsters to visit the dentist regularly and by ensuring they eat and drink more healthily. Give their teeth a good start by keeping their baby teeth healthy and clean. Poorly cared for baby teeth can cause infection, pain and potentially problems with eating, even speech. Invest time to properly train your child how to brush their teeth at home from the ages of 2-3. Keep this routine up until they are at least six years old and can be trusted to be independent. Let your little one pick the supplies. Colourful toothbrushes and cartoon characters may not do much for us adults, but they do help to inspire children to brush their teeth. Set a good example and brush along with your child – you could even step it up a notch and have a competition to see who can brush each tooth! Make it a routine – this way your child won’t even question it. Educate them on the health benefits of brushing their teeth. We have lots of information on our website geared at young children. You can find our educational worksheets here. We’ll make sure their first trip here is one to remember – for all the right reasons.